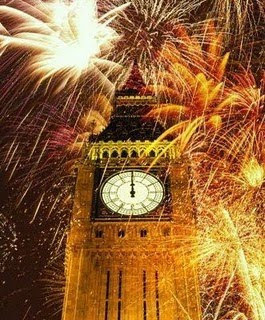 Time to sign off until 2010 and wish all my readers a really happy New Year. If 2009 has been eventful, I suspect it has nothing on 2010. It's a year I am hugely looking forward to both on a personal and professional basis. One way or another, I think it's going to be one of the most important of my life. I hope you'll be joining me on the rollercoaster than undoubtedly lies ahead. I'm spending the New Year at home. I hate New Year's parties. They never quite live up to their billing in my experience. We've got our friend Jenny here too and John is cooking a meal at the moment. Gio is sitting by the table waiting for scraps, as his wont. Thanks for your company in 2009. It's now time to look ahead with optimism and confidence. 1. Glyn Davies on what John Gummer shouldn't be remembered for. 2. The Staggers wonders if Labour MPs are considering the "Aznar solution" for Brown. 3. 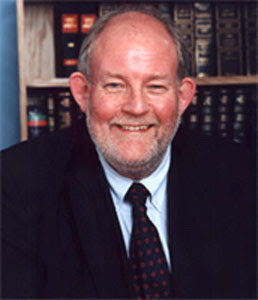 Lord Norton asks when a rebel is not a rebel. 4. More 2010 predictions from Antony Little, Blue Idea, the Conservative Blog, Tom Harris, Tory Landlord, Stephen Glenn, Letters From a Tory, Jennie Rigg & A Very Public Sociologist. 5. Stephen Tall on the 10 questions the LibDems must answer in 2010. 6. Tim Montgomerie reports that CCHQ say Buckingham Tories had better support Bercow, or else. 7. James Forsyth outlines the key task for the Tories in early 2010. 8. Liberal England finds a LibDem MP's attitude to airport body scanners puzzling. 9. LibDem Voice looks back at the polls during December. 10. J Arthur MacNumpty invites nominations for the Scotblogs. 11. It's not all about me, says Walaa Idris. 12. Peter Black AM looks back on his predictions for 2009. 12. Newmania says it is time to get angry. Left Blogs: Will 2010 Be Their Year? In a thought provoking article for this week's New Statesman, James Crabtree (Deputy Editor of Prospect Magazine) asserts that the left wing blogosphere will come of age in 2010 and will finally catch up with the success of blogs on the right. I don't buy the argument that right of centre blogs have been successful purely because the right is on opposition. It may be small part of the explanation, but there is far more to it than that. Those who believe left of centre blogs will become more successful purely by dint of Labour being in opposition are both deluded and complacent. Two of those four started their blogs during 2009. As did Left Foot Forward, seen by many as the blog with the best prospect of rivalling the success of ConservativeHome. Left Foot Forward, LabourHome and LabourList are all group blogs, which have two things in common with each other. They are financed by outside interests. LFF receives money to fund its editor Will Straw and an assistant, while LabourHome is owned and financed by New Statesman owner Mike Danson. LabourList received initial seed funding from the trade union movement, but following the Draper debacle has found it difficult to raise funds to pay its talented editor, Alex Smith (although he tells me funds are in place which will see him through to the election). And that's my point. Whatever the political situation after May, I think the Left's task in the blogosphere will be made all the easier if it has several group-based sites which are well funded. If they are to challenge what James Crabtree refers to as the Man U, Chelsea & Arsenals (ConHome, me and Guido) they need to break out of the blogging equivalent of the Football League Championship. Because at the moment, to use Crabtree's parlance, they may be described as the West Bromwich Albion, Crystal Palace and Derby County of political blogging. But rather than the election itself, it will most likely be the forthcoming Labour leadership election that will truly give birth to this blogging movement. The bloodletting between Labour's left and right flanks will largely happen online, where disgruntled members will duke out years of anger in blog-to-blog combat. Blogs do best when they cover subjects whose minutiae are ignored by the mainstream media, as was true on the right during the 2005 Conservative leadership contest, and more recently the coverage of selections for individual parliamentary seats. Whichever of LabourList, Left Foot Forward and LabourHome manages to dominate the agenda will emerge as the true left of centre rival to ConHome. Yet if or when Labour loses the election, the latent left "netroots" will likely surpass their Tory counterparts. The spark will be Budget savings. Team Cameron will look less cuddly when their first emergency Budget is followed by bloody cuts. Activists concerned about the "Osborne axe" hovering over their school or hospital will gather on the web. Every word uttered by a Conservative in the past five years is online, making accusations of hypocrisy and inconsistency trivially easy to stand up. With campaigns to oppose every major cut likely, Osborne - a long-time admirer of online politics - will become a hate figure for progressive bloggers. This new movement will not lack for professional help. After the election, there will be plenty of unemployed Labour special advisers (and even ex-MPs) looking for jobs and revenge. They know where the unexploded ordnance is buried around Whitehall, and how to use Freedom of Information laws to set it off. And while setting up magazines or think tanks - the staples of political renewal 1.0 - is expensive and time-consuming, founding new attack blogs is cheap and easy. Yes, it is indeed cheap to set up a blog, but it's not easy to get an audience, as many have found. Most bloggers still find it difficult to get more than a few hundred readers a day. But Crabtree's words betray a degree of complacency. 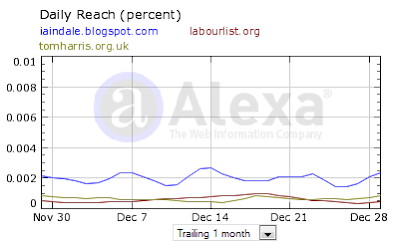 Left wing blogs won't suddenly become popular just because a Conservative government becomes unpopular. Osborne is already a hate figure for so-called 'progressive bloggers'. That doesn't translate into extra readers. No, the challenge is for left wing bloggers to break out of their left wing box and attract general readers - non Labour supporters, those who just happen to be interested in politics. My blog gets a large audience because a third of the readers don't agree with my politics. I have created an environment where non Conservatives can feel at home and part of the debate. They know I'm a Conservative, but not a blind one. I'm in the Conservative Party and not run by the Conservative Party. And that's a real problem for the Left more generally. The most popular left of centre blogs (with one exception, Liberal Conspiracy) are to one extent or another creatures of or closely associated with the Labour Party itself. LabourList started off as a direct initiative of the party centrally, even if they tried vainly to hide the fact. It is true that it has now become independent of the Party but it still seems to be a cheerleader and a place for people to defend rather than discuss. Left Foot Forward may not be a creature of the Party but its editor is the son of a Cabinet Minister. That's not his fault, and while his surname may open some doors, it calls into question the site's true independence. And no matter how independent they may appear from time to time, both of the Toms, Watson and Harris, are Labour MPs and in the end there are lines which neither can cross. Contrast that with the party affiliations of the four most popular right of centre blogs. Neither Guido nor Dizzy are members of the Conservative Party. Tim Montgomerie is completely independent of the Party and isn't afraid to disagree with the Party line. I may have political ambitions (hanging by a thread!) but I hold no office within the Party - either elected or appointed. The point is that only the blinkered could really seriously believe that any of the four of us take any kind of instruction from Conservative Central Office. Kerry McCarthy genuinely believes that we do just that - that the online fundraising campaign in aid of her Tory opponent was coordinated by CCHQ. The truth is that it was an example of internet cascading. One thing led to another. I launched the fundrising campaign, then Tory Bear (unbeknown to me) created a website and it went on from there. That's what happens on the internet but it's so difficult for some people on the left that there can never be a successful command and control in the political blogosphere. It's what Derek Draper could never get his head round. And it's why he met his political end. And it's why Kerry McCarthy just doesn't get it and is destined to fail in her role as Labour's internet coordinator. Cheap though such sites might be, there will be money, after the election, to help get more off the ground. Unions, left-wing charities and bruised Labour millionaires will cast around for exciting anti-Tory projects to bankroll. Already, one such group - called 38 Degrees (the angle at which avalanches begin), funded by the estate of Anita Roddick - is trying to re-create the success of MoveOn.org, the hugely influential American group. Many other such organisations could emerge following the election, kicking off a new, blogging industrial complex fuelled by union and charitable cash. From such developments, an obvious truth will emerge: the internet is not intrinsically amenable to either left or right. Dubious theories circulate that the online world is ideologically slanted to be either libertarian or collectivist. Instead, it is most usefully understood in British politics as an insurgent technology. It's where you go when you are on the outside and you need to beat an incumbent. In this way, the rise of the right-wing blogosphere has been pegged to two forces: people who strongly dislike Gordon Brown (such as Fawkes) and people who want their government back (such as the ConservativeHome activists). What will emerge on the left will be different. The right-wing blogs are, in truth, a top-heavy affair, with little strength below their big three. Labour's new digirati will likely be broader and deeper, reflecting the greater political power and reach of the internet today relative to five years ago, when the Tory blogs began in earnest. And while there might be no Labour equivalent of Fawkes's poisonous, gossipy attacks, those anti-government leaks will still need somewhere to go. There is no evidence to back up the assertion that Labour's new 'digirati' will be broader and deeper. In fact, what does that mean? If he means there will be more lefty blogs with a bigger audience I'd say that was living more in hope than expectation. There are more of them today, but few of them carry any weight or are thought to be of any influence or importance. That may - may - change, whether by virtue or government leak or talented writing. But it's a brave man who can predict that with any certainty. Two years ago, the left of centre blogosphere barely existed. It was the Rymans League of blogging and I got a lot of flak for saying so at the time. But the truth was no one cared about any of the lefty blogs that existed and few people read them. A lot of progress has been made, and I certainly read far more left wing blogs than I used to - mainly because there are many more well written blogs out there. I don't have to agree with what they write, but they are great sources of ideas for blogposts for me to write here. Sunder Katwala and Hopi Sen in particular are blogs which, if either of the authors had the time to devote to them could become very serious players indeed. And here we come to the rub. During 2009 I posted on average 6 times a day. It's what my readers have come to expect and it's one of the main reasons I have built up such a large readership, 50% of them visit my blog three or more times a day, and when they return they expect to see something new. Somehow I manage to combine this with my normal work. Of course blogging is not just about quantity, but it does play a part. You cannot build up a readership without regular posting. That's where group blogs will generally - but not always - be able to outdo blogs written by individuals. Guido has posted his own thoughts, which are rather less charoitable than my own, but no less valid. LabourList is, like LabourHome before it, a bit directionless and seems more about cheering up the troops than scaring the enemy. That might be a valid role. It is of course way better than back in Draper’s day. Boy, does Guido miss him. To match up to ConservativeHome’s influence and be taken as seriously by the host party as Tim Montgomerie is will take some doing. Sunny Hundal’s Liberal Conspiracy suffers from what Lenin would call an “infantilist disorder”, that is the kind of leftism Guido wants to see dominate the Labour Party in the next decade. A modernised version of the loony left of the eighties would be ideal fodder for this blog. Hopi Sen, Tom Watson and Tom Harris all write well, but are they really willing or able to put in the hours Dale does? As for Twitter, it isn’t going to win any votes and is a tool, not a means. Forget it. The left has to get the post-election civil war out of the way first before it re-groups. Given that the online left is way to the left of the electorate, there is a good chance that the Labour blogosphere will help consign the Labour Party to irrelevance for a good while. I am tempted to say, we can but hope. Joke. Anyway, to conclude (at last), I think it's healthy that left of centre blogs are more interesting than they were a year ago. 2010 is going to be a huge year for politics on the internet. There will no doubt be some unseemly spats between right and left bloggers. But let's hope there is some cracking debate too. If not, we all need to wonder why we bother. Hattip for graphic at the top to Guido. Jack Straw has been doing sterling work for the Conservatives today, accusing the Police of being workshy and lazy. Justice Secretary Jack Straw has told the BBC he is "sceptical" about claims by some police that they are overworked and spend hours filling in forms. He said some officers "quite enjoy" being in the station "in the warm" and some forces did better than others. Often the difference was due, not to resources, but to the "discipline and culture" within the force, he said.But Simon Reed, vice-chairman of the Police Federation of England and Wales, said the remarks were "irresponsible and inflammatory". "It wasn't police officers who brought in 3,000 new laws, it wasn't police officers who brought in a 30-page prosecution file and it wasn't police officers who brought in multiple forms and authorities to use a pair of binoculars," he said. "This was all done by politicians. Police officers are not the architects of bureaucracy, they and the public are the victims of it." What we have now is a group of Ministers who are utterly out of touch with what is really happening in policing. They heap more and more bureaucracy onto our police, leaving them filling in form after form, often with the same information on it, and then pretend that nothing is wrong. It's not police officers who are sitting at their desks in the warm - it's Ministers stuck in their ivory towers. They should get out a bit more and find out what is really going on. I don't know what proportion of police officers vote Labour. But if any of them heard Jack Straw's interview (click HERE and scrol to 8.40) I suspect the number will have halved. Damian Green, who you voted your Opposition Frontbencher of the Year, has launched a new campaign today, RETURN MY DNA - with the aim of persuading the Government to release innocent people's DNA from the DNA database. I'd have thought this is a campaign that people from all parties can support. The very idea that any police force should be able to retain the DNA of an innocent individual is clearly a step too far in the direction of the Big Brother state. If you are innocent of committing an offence the state should have no right to retain your DNA. I just cannot believe any intelligent person could think otherwise. You can find more details and sign the petition HERE. Responding to the recent very brutal attack on the Silvio Berlusconi their blogger Unity posted a YouTube clip of the attack. The full text of the post was: "Obviously one should never condone the use of violence against anyone, least of all man in his seventies... But – be honest – given a clear shot, you would… wouldn’t you?" I think this demonstrates a key difference between elements of the left and the rest of us. I can think of no left wing hate figure whose hospitalisation or death I would celebrate, either openly or secretly. Hundal portrays himself as a moderate left of centre 'thinker' but from time to time the 'sunny' facade peels away and the nasty truth is revealed. Today is one of those days. But he's been at it over the last week trying to insinuate that Devil's Kitchen is a racist. It's what he does to many people who dare to disagree with his Weltanschauung. Liberal Conspiracy used to be quite an interesting discussion forum, even for those of us who disagreed with it. Nowadays, it is just a venue for people to hiss and spit. The left of centre blogosphere is beginning to flower (I shall be writing more about this later today), but LibCon gives it a bad name and is doing it damage. Perhaps I should be pleased about that, but actually I find it rather sad. Well, it's the last day of the year, and during the course of 2009 I have writteen 2,256 blogposts (an average of 6 per day) - around three quarters of a million words. Here are a few of what I think have been my best blogposts of 2009. You, of course, may disagree! Anyway, I hope you have enjoyed reading at least somewhat what I have written this year. And if you haven't, feel free to get your money back! Should I have questioned Gordon Brown's state of mind? April Pond has a moat! 1. James Macintyre takes a Brown-tastic retrospectivee view of 2010. 2. Tory Rascal publishes the final part of his interview with Nadine Dorries. 3. A Very Public Sociologist lists the Top 100 Tweeting Bloggers. 4. Fraser Nelson on what Peter Moore has missed about Britain. 5. Heresy's Corner finds Johann Hari's hero a little difficult to stomach. 6. Mr Eugenides announces the Scotblog awards. 7. Archbishop Cranmer offers some new year's predictions. 8. Will Straw goes all Mandy Rice Davis and predicts 2010 will be the Year of the Left Blogosphere. 9. Guido is seeking nominations for his 2009 Sh*t of the Year. 10. Dizzy says lets spend like it's 2017. 12. Daily Referendum has some new Conservative campaign poster suggestions. Labour's campaign war-chest has been given a £2.25m top-up ahead of the general election. The boost from three wealthy Labour backers comes ahead of a new year fundraising drive assisted by David Blunkett. The latest large donations to Labout came from Lord Sainsbury, the former science minister and financiers Nigel Doughty and Sir Ronald Cohen. Sainsbury and Doughty gave £1m each while Sir Ronald donated £250,000. In September Labour's debts of £9.8m were more than double the Tories £4.2m. A new internet fundraising initiative is also set to go live after New Year. Gordon Brown must hold an election by June at the latest. Blunkett said: "We know that those with a vested interest in the election of a Conservative government are pumping money into the Tory coffers. "Our job is to ensure that the voice of the people, not just those with the power of privilege, is heard through to polling day." So Labour is receiving two £1 million donations, just like that. There aren't many Tory donors who give anything like that amount. You couldn't make it up. It is the Conservatives who want to ban donations over £50k, but the suggestion is being stymied by Labour who fear losing money from their Trade Union paymasters. The Labour Party is to all intents and purposes bankrupt - both in ideas and financially. Those who work for the Labour Party know that after the election there is a real possibility it might have to shut up shop all together. At the moment, it only exists courtesy of a handful of large scale donors and the munificence of Charlie Whelan. To all intents and purposes it is a majority owned subsidiary of the Unite trade union. 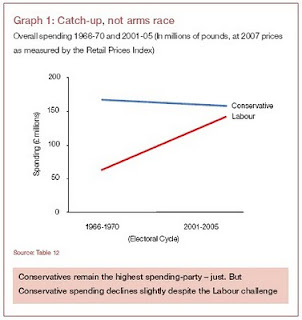 So whenever Jack Straw and his colleagues say Labour is in an unfair position, show them this graph. Charles Clarke, in his inimitable manner, has just sent this article to selected friends, one of whom thought I might be interested. I imagine has has also given it to various journalists for tomorrow's papers. Whatever his motives, it's difficult not to agree with much of his analysis of Brown's position. The question is, will others in the senior echelons of the Labour Party act on his advice, or emulate the courage of a pink blancmange. I think I know where my money would go. We are now reaching the end of Labour’s only, ever, full decade in office. As we do, we face an electoral defeat which could well give the Conservatives the next decade and more. It may seem easier, and possibly less risky, to do nothing to change our position. But unless Labour acts now we are likely to spend the next ten years reflecting on the consequences from the impotence of opposition. Since 1997 Labour has built a stronger and fairer society and transformed the lives of millions of people for the better. Our record is one to be proud of. But we have also failed to exploit many opportunities to chart a progressive path for the future. And, worst of all, over the last couple of years we have frivolously and foolishly discarded our dominant position in British politics, possibly permanently. During the last year Labour’s poll ratings have hit historic lows, and the dismal European and local elections translated this into actual votes. Senior Party members know and well understand Labour’s true position but, for a variety of reasons, have so far decided to take no action. A conspiracy of silence has protected the Party leadership. Just before Christmas this mood seemed to change. Newspaper reports and interviews pointed to serious doubts held by Cabinet members and others. There is the possibility that Labour’s underlying position in the polls and the failures of the Queens Speech and the Pre-Budget Report may now bring matters to a head. Labour’s underlying poll position is disastrous. The UK Polling Report calculates the current average at 40-28-19, which implies a Conservative overall majority of 36 seats. This is significantly worse than a year ago, just before the London G20 summit, when Labour was in the mid-30s and 4/5 point Tory leads were routine. Moreover, many Labour-identifying voters say that they are not prepared to vote Labour at the coming election; a big pool of lost Labour voters now back other parties and Labour supporters are more likely than Tory ones to be considering switching sides or not voting. All the evidence suggests that Brown’s leadership reduces Labour support, that alternative leaders would improve our ratings, and that an election determined by voters’ answers to the question “Do you want Gordon Brown to be Prime Minister for the next five years?” would further shrink Labour support. In these circumstances some clutch, bizarrely, at the straw of an occasional poll showing ‘only’ a 9 point lead for the Conservatives (even when intermingled with 17 point leads). Others hope that the Conservatives might not achieve an overall majority but merely be the largest party in a hung parliament. But in fact such a hung parliament would offer no political respite for Labour. David Cameron has used his New Year message to signal willingness to work with the Liberal Democrats and Nick Clegg has already made it clear that he would feel bound to permit the Leader of the largest party to form a Government. Though senior Liberal Democrats have privately indicated that this situation might change if Labour’s leadership changed, there’s little joy for Labour here. The poor political impact of the pre-election Queens Speech and the Pre-Budget Report, as well as the November European Council and other events, have reinforced awareness that Labour currently has no strategy for escaping the deep political trouble it is in. These were moments where a clear and articulate approach could have changed the mood. Instead they were used just to recycle old political ‘dividing lines’, which reflect a deep defeatist fear of discussing both our past approach and our future plans. We offered no account and no explanation of the past and, even more seriously, no constructive sense of direction for the future. This ‘class war’ approach is explicitly designed to rack up ‘core Labour’ votes in core Labour areas and to protect the position of the current leadership. Labour cannot win on this basis. We have to remain a Party with the widest possible appeal, which does not rely for support simply upon one particular group, faction or social class. Since 1983 Labour’s conventional wisdom has recognized that Labour has to seek to win marginal parliamentary seats, many of them in the South of England. Those most involved in formulating the electorally successful post-1994 ‘New Labour’ strategy recognize that this winning approach is now being deliberately abandoned. A small group amongst the Labour leadership, inside and outside the Cabinet, believe, genuinely, that, if the economy improves and the Tories begin to implode, the public will rally to Gordon Brown as the General Election approaches. Others believe that the election campaign could be fought in a way which diverts attention from our leadership (“It’s policies not personalities”). Unfortunately the recent confirmation of the campaign TV debates makes this just about impossible to imagine. However most senior Labour leaders have had little faith in Gordon Brown’s leadership for a considerable time but over the last year have remained silent, and even professed support. They have done this for a variety of reasons. The greatest concern is that, under current constitutional arrangements, there is no clear process through which a Party leader could be forced to stand down. They fear that his stubbornness would see off any challenge and precipitate chaotic internal conflict which in turn would reinforce Labour’s image of ineffectiveness and division, possibly without succeeding in changing the Leader. They feel that success requires ‘overwhelming force’. Others worry that, without a clear challenger/successor, a change of leader might simply be a step from the frying pan into the fire. They think that the unpredictable uncertainties of a leadership election could be damaging. In fact a 21-day campaign is quite possible and would refocus attention on what Labour has positively to offer. There is also fear of the perceived personal costs which could arise from antagonizing the leadership. The Damian MacBride style of politics is not dead – shortly before Christmas a senior Cabinet member warned me personally to take care ‘because Gordon’s spies are everywhere’. A deeper pessimism, fed by the MPs’ expenses catastrophe, has led to fatalism. Too many accept defeat for Labour as inevitable. They do not perceive the personal consequences for themselves as shattering. They expect to hold their seats (almost no Cabinet members now have marginal seats) and then adjust to a life in Opposition in the new Parliament. Furthermore, only a third of the current Cabinet were in Parliament before 1997 and so have any direct Parliamentary experience of the 18 years of Tory Government before then. There are also more ignoble motives for inaction. Some are actively preparing for post-defeat Labour politics and laying down markers for their own leadership ambitions. Others are looking to their future business careers, which they think will be less possible if they are seen as ‘troublemakers’. Others, probably mistakenly, hope for the Prime Minister’s patronage in securing their membership of the House of Lords after defeat. The net effect of this conspiracy of silence and inaction has been that Gordon Brown has so far been able to see off all challenges to his leadership. As we reach 2010, rightly described by Ed Balls as ‘the most important General Election for a generation’, the implications of the status quo are crystal clear – a smashing defeat for Labour and poorer lives for the people we seek to serve. Yet the General Election is eminently winnable for Labour under a new leader. We still have the overall policies and approach which are best suited to meet the challenges of both the current crises and the future, even though we have not recently been successful in communicating them clearly. Moreover the Conservatives have failed to establish themselves strongly. Their threat comes only from Labour’s weakness. Their only strength is the petty point-scoring of partisan oppositionist politics, based on vigorous and misleading attacks and clever phrase-making. They are deeply divided on policy issues of the greatest significance; their demeanour is increasingly introverted, provincial and backward-looking, notably so in the international arena; they offer no policy or political vision for themselves and they inspire no confidence in their own team of political leaders. In Parliament and elsewhere an overwhelming majority of Labour opinion believes that in this position Labour’s chances would be significantly improved if Gordon Brown were to stand down. Over Christmas there have been signs that this strength of opinion is understood in the Cabinet. The New Year will be the time to ensure that the overwhelming feeling which does exist is turned into the action which brings about the necessary change. The price of failure is just too high. Doing nothing now may seem the easiest option. But Labour should learn from the Tories, who have had many whole decades in power: political parties need the killer instinct to hold on to office. David Cameron’s Conservatives are relying on Labour failing to learn that lesson. From the beginning of 2010 we need a renewed Labour Party which can offer the people of Britain a genuine and positive choice at the ballot box. I shall look forward to what LabourList, LabourHome and Left Foot Forward have to say about this rather interesting intervention. Here are some more of the 'awards' voted by 2,200 of my blogreaders over Christmas. 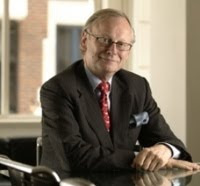 Graham Dines of the East Anglian Daily Times has the exclusive that John Gummer is to retire from Parliament at the next election. By announcing his retirement before the end of the year, he saves his Suffolk Coastal constituency from having a three person shortlist imposed on them. Gummer is almost certain to get a peerage, and is going to concentrate on his environmental work. Following Michael Lord and Richard Spring's departure, Gummer becomes the third Suffolk Tory MP to quit. Tim Yeo and David Ruffley are hanging in there. So far! 1. Nile Gardiner lists his Top Ten Conservative movies of the last decade. 2. Nich Starling has a go at the Daily Mail over defending Labour and China. 3. Melanchthon gives 10 predictions for Britain in 2010. As does Tory Politico and the Kingdom of Wrong. 4. LibDem Voice on how Channel 4 can win the election debates. 5. Tory Rascal gets insomnia, and turns to Hansard for solace. 6. Another Green World on a poll which predicts a Green win in Brighton. Further analysis from PoliticalBetting.com. 7. Richard Willis on speed cameras. He wants Reading to look at whether it should follow Swindon's lead. 8. Sunny Hundal is right on class war. And everyone else is wrong, you see. He's always right. So he says. 9. Alastair Campbell says 'Here's to you Iris Robinson'. 10. Michael White says it is hypocritical to criticise China. Something he has in common with the Daily Mail, then. 11. Douglas Carswell asks: who elected Kier Starmer? 12. Guido accuses John Prescott of being an apologist for China. simply as a result of measures taken by this government." Why hasn't Baroness Ashton, the High Representative of the Union for Foreign Affairs and Security Policy had anything to say? I have done a Google search and looked at several major news sites, but I can find no record of any utterance from Baroness Ashton on the subject, even today. What's the point of her job if she had nothing to say on this? 10. England reach the World Cup Final with three West Ham players in the team. Again. Sixty Minutes from now, the Chinese government will kill a mentally ill British citizen. Wars have been started over less. Little has been heard from the British government and what they have done to persuade China to show restraint. All we have had is a junior Foreign Office Minister urging the Chinese to desist. I am sorry, but Ivan Lewis is not a name to strike fear into the hearts of the Chinese government. Let's hope that even at this late stage, wise counsel prevails. I don't normally highlight individual blogposts nowadays, but THIS ONE merits it. If you cannot abide the oleaginous wannabe, Sunny Hundal, you'll love it. Devil's Kitchen rips him and and his indentity-obsessed politics apart. Deliciously. And comprehensively. And without too much bad language. As regular readers may REMEMBER, I have had my differences with Iris Robinson. But it is a great shame that chronic depression has forced her to announce she will be standing down from parliament at the next election. I count myself very lucky that no matter how bad things have ever got for me, I have never suffered from depression myself, and perhaps it is difficult therefore to empathise properly with people who do, but knowing several people who do have bouts of depression from time to time, I wouldn't wish it on anyone. I hope that stepping away from the pressures of political life will make it possible for Iris Robinson to find a little more happiness. I do wish Iris a full recovery from her depression. I also hope that through this experience she may also learn that some of the things from her public life are utterances that may have led others to a similar state. 1. SNP blogger Calum Cashley gives his new year predictions. 2. James Forsyth on what the Met can learn from New York's plummeting murder rate. 3. Richard Normington isn't closed for lunch. 4. Devil's Kitchen takes Sunny Hundal to task over his class war. And that's putting it mildly. 5. On the first month anniversary of her blog, Walaa Idris explains why she does it. 6. John Redwood isn't impressed by the Today Programme guest editors. 7. Kiwiblog has a link to a report on how New Zealand parties used new media in the 2008 election. 8. Daily Referendum has created some anti Labour & LibDem election posters. 9. EU Referendum on the lucrative sidelines of the IPCC chief. 10. Tory Politico agrees with Michael Howard on the need to tackle the BNP head on. 11. The Conservative Blog on how borrowing is now at 17% of GDP. 12. Paul Vickers visit's Hawarden, Gladstone's home. The Daily Mirror have been up to their old tricks again. They have failed in a rather tawdry tempt to entrap Tory candidate Norsheen Bhatti. Until earlier this year she was the LibDem candidate for Chelsea & Fulham but in April she defected and now represents the Conservatives in Stoke on Trent Central. Last week, Norsheen's theatrical agent got an email from someone called Ryan Parry (pic right), using a Googlemail account. Norsheen, I should have mentioned, is rather a good belly dancer. Her agent, though, thought it a bit odd that Mr Parry had used Noreen's surname in the email, as her 'stage name' is purely 'Noreen'. He googled Mr Parry, and, whaddaya know, he is a Daily Mirror journalist! The agent emailed back to see how far the Mirror were prepared to go and was then told that Mr Parry wished to book her for a "private party" for his father. Presumably, if the event had gone ahead, Mr Parry and his colleagues would have indulged in some form of rather unpleasant entrapment. I could speculate as to what they might have tried to do, but I won't. This is, after all, a family blog :). What is odd, is that Norsheen has never kept it a secret that she is a semi professional belly dancer. Indeed, why should she? It's nothing to be ashamed of. Unlike working for the Daily Mirror... So if it wasn't a secret what possible reason could the Daily Mirror have for this form of subterfuge unless they were trying to entrap her into doing or saying something harmful to her political prospects or the Conservative Party? I put all this to the Conservatives tonight and a source said: "This is yet another feeble and amateurish attempt by the Daily Mirror to deceive party members. They should try proper journalism for a change." Of course, this isn't the first time the Daily Mirror have tried this sort of thing. Remember THIS from July 2009? Or THIS from August 2007? This isn't journalism, it's entrapment. If the Police did this, the Daily Mirror would be the first to complain. It just shows what a despicable newspaper it has become. Kevin Maguire, Jason Beattie, James Lyons, Bob Roberts, you must be so proud to work for such a publication. I am looking to hire a belly dancer for a party next year, maybe early February and was wondering whether you can help with one in particular. A friend of mine often goes to a Moroccan restaurant called Souk Medina in Covent Garden, and he has recommended a beautiful bellydancer called Norsheen Bhatti who danced there. He said she was mesmerizing and an amazing dancer. 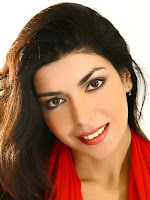 It was a while back, but at the time I remember finding Norsheen on your website, but she is no longer there. Does she still work at the restaurant or even for you? I know Norsheen well & yes she does still dance at Souk. She is very much in demand as a dancer & now usually only takes bookings from people she knows. You could try approaching her on the night if you see her dancing. The restaurant can tell you when she is dancing next if to call them. Please say hello to Norsheen and Souk from Johara. I'd you require further assistance, please let me know. That's brilliant Johara, I'll give the restaurant a call. Do you happen to have any pictures of Norsheen while dancing, would be most helpful to get an idea for the party, also very curious to see what my friend is raving about! You could try Googling "Norsheen" & "Celebrity Come Dine With Me". Earlier in the year Norsheen provided belly dance entertainment for Lynne Franks. There may be some video or photos. She was wearing a baby blue costume. Johara from london belly dance kindly forwarded your email onto me so I just thought it would be easier for me to email you directly. Please thank your friend for the nice remarks although it must have been a while ago since they saw me dancing as I haven't danced in Souk recently, I've been really busy with other parties and Christmas etc. When are you planning your party for and is it for a particular occasion i.e. wedding or birthday? Do get back to me if you are still interested in having a belly dancer at your party and booking me. Hi NorsheenThanks for getting in touch, the party is either going to be on Jan 30 or Feb 6, at a venue yet to be confirmed, but it will be in central London. Are you available on those dates? The occasion is my father's birthday party so I'm keen to get the best. Also do you have any pics of yourself dancing as I would very much like to show my father what you look like. I am sure some Daily Mirror apologist will try to suggest this could all be entirely innocent. Sadly, this theory is rather blown out of the water by an email sent by Mr Parry today. I'm a journalist with the Daily Mirror and was wondering whether there was any way you could get a message to Norsheen Bhatti and ask her to give me a call. My number is 0207 293 3773 or 079681487xx. Er, that would be a no, then. Sorry to spoil your story, Mr Parry. Prat. UPDATE Midnight: Ankd THIS is the rather pathetic story the Mirror have come up with. And to think, it used to be called a newspaper. You know how it is, you’re looking forward to a quiet night of vegging in front of the TV and then your partner utters the dreadful words, “right, we’re switching over so I can watch a programme I want for a change.” Your heart sinks, knowing that the next hour is to be spent enduring Casualty or some other God awful medical drama. And do it was that on a Sunday evening I’d be compelled to watch the ITV series Wild at Heart. I may have been compelled, but it wasn’t long before I found it compelling. I’m spending much of Christmas catching up on the first two series of the programme. How sad is that?! 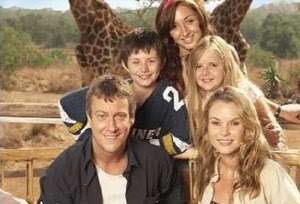 For those who haven’t seen it, it features a vet and his family who leave behind their life in Bristol to start a new life in the wilds of southern Africa. Even the fact that is starred Amanda Holden didn’t quite put me off watching it. It’s a feel good, uplifting story and it makes you think. Every so often I have wondered about doing something completely different. Leaving behind the world of politics and the media. No more blogging. No more Sky News paper reviews. No more EDP column. What would it be like to leave it all behind and go and discover a completely new life? As we are about to enter a new year I suspect I am not alone in thinking deeply about what 2010 holds for me, my loved ones, my business and my country. And politicians will be no different. If you’re David Cameron you know 2010 will be the most important of your life so far. You will either become Prime Minister or be consigned to the ever growing list of Tory leaders who didn’t quite make it. If he fails he will go through the rest of his life wondering what might have been, and what he could have done to bring about a different outcome. Imagine you’re Gordon Brown. You’ve finally got the job you’ve craved for years and then seen it all crumble around your feet. You approach 2010 trying to shut out what the commentators regard as the inevitable. And yet, and yet. There’s still that sliver of hope that something might turn up. Events might somehow provide the political game changer that you need. You just never know. And if you’re Nick Clegg, well, you know you’re not going to be prime minister, but you might just be able to get your hands on a bit of power. You know that even if your party loses seats, it could still hold the balance of power. That excites you. You want to turn your party from being a pressure group into a real party which can change things. And yet you know there will be elements of your party who shrink at the prospect. So as you all indulge in our own individual forms of escapism this Christmas and wonder what the future holds for us all, spare a thought for our politicians. They haven’t had a very good year, it is safe to say. 2010 will give them an opportunity to pick themselves up, dust themselves off and try to rescue their tarnished reputations. Will they grab the opportunity or kick the reputation of politics further into the gutter? Cynics will no doubt think the latter, but as it’s a time of peace and goodwill to all, let’s give them the benefit of the doubt, shall we? Just this once? No, thought not. Anyway, must rush, another episode of Wild at Heart to watch. This summer Andrew Mitchell, the shadow international development secretary, returned to Rwanda for the third year to lead a group of 100 Conservative volunteers on development projects. In this diary, he records an inspiring, moving and occasionally hilarious fortnight. We descend through a stormy sky into Kigali, the capital of this lush, verdant country of lakes and rolling hills. Piling out of the plane, we load our boxes of English dictionaries and exercise books on to waiting trucks. Around the airport perimeter are children with lime-green wind-up laptops, given by international donors as part of a scheme to connect Rwanda to the internet. They are here because the airport is one of the few places with free wi-fi. When our boxes are safely loaded, we drive off into the dusty Kigali night. I'm staying at Solace Ministries, a guesthouse run by Rwandan Christians. It's good to be back. We visit the Kigali Genocide Memorial site, one of the biggest mass graves in the world, where 300,000 victims of the 1994 killings are buried. Bodies are still being recovered. In 90 days of that terrible year, a total of around 1 million Rwandans were murdered across the country - most dispatched by knife or machete, with a ferocity and speed that even Adolf Hitler did not match. Most of those who died were from the Tutsi minority; their killers were extremist militia from the Hutu majority. The inter-ethnic hostilities that led to genocide had been formented under Belgian colonial rule and worsened under a guerrilla war in 1990. It is impossible not to be moved by the memorial. Many of our volunteers are in tears. I meet Sifa, a woman of 83 who saved the lives of 43 people during the genocide, mainly children, by hiding them in her house and facing down gangs of Interahamwe, a Hutu militia. She must be the bravest person in the world. For many of our volunteers, Rwanda is a life-changing experience. We're here as part of Project Umubano - the Kinyarawandan word for friendship, partnership and co-operation. The project aims in its modest way to assist Rwanda's schools, health service, legal system and private sector. Education in particular is a powerful tool to dispel ignorance and intolerance, resolve conflict and reconcile people - as well as lifting children out of poverty. Equally, if its economy is to grow, Rwanda must attract private-sector foreign investment - something it will only do if it has a strong, independent judiciary with robust property and contract law. We are here to learn how Rwanda is shaping a peaceful future for itself and to gain a greater understanding of international development. Rwanda represents the worst and the best of Africa; we hope that in office the lessons Conservatives have absorbed here will help us on a wider scale. Everyone on this trip is a volunteer - teachers, lawyers, doctors, politicians and people from the private sector who have responded to our invitation. Everyone pays their own way. I awake at 5am, nervous. Today is my first day in the classroom. Forty-five of us are teaching 1,500 Rwandan primary teachers from all over the country. They are here to learn English grammar, vocabulary and comprehension, to expand their conversational abilities and - most importantly, how to pass on those skills to their fellow teachers and their pupils. I spend two hours re-reading the two-week syllabus agreed with the Rwandan authorities. My respect for teachers has always been huge, but never more than now as I contemplate holding the attention of a class of 50 Rwandan teachers aged between 22 and 54. So far, so good. We're getting along well in my class. But not as well as Rob Halfon, our prospective parliamentary candidate for Harlow, who is powering ahead next door. Today he got his class to compose love letters - a good way to help with grammar, vocabulary and comprehension in one exercise. Shamelessly, I plagiarise his idea. The most moving letter in my class comes from the oldest woman and is addressed to her husband of 28 years. Her words are tender and surprisingly fresh - more what one would expect from a teenager than a woman in her third decade of marriage. Few Rwandans have been untouched by the appalling events that overtook their country in 1994. That they retain the ability for love, affection and family life is all the more astounding, as is their energy and their hope that they can reconstruct their country. We prepare for a general knowledge quiz. 'What is the name of the leader of the British political opposition?' I ask. Four hands shoot up. 'Yes?' I say. 'Tony Blair,' says one, confidently. Er, not exactly! Thankfully, some in the class know David Cameron's name. Our message must be getting across. We head off to meet President Paul Kagame, another Arsenal supporter. He is generous about Project Umubano, saying: 'Many people give us money and tell us what to do, but very few come here, roll up their sleeves and get involved - and for three years running.' We have a frank discussion about how to make progress in the neighbouring Democratic Republic of Congo, from where my colleague Mark Lancaster, shadow minister for international development, has just returned. We have a lively discussion about Rwanda's recent dispute with the BBC, in which the corporation's local service was accused of broadcasting interviews likely to inflame tensions. We also talk about the rights and responsibilities of the opposition in a democracy. After class, I catch up with volunteers who are producing a handbook for new Rwandan graduates. Many students had their education interrupted by the genocide - they now need help making the transition from classroom to work. Umuganda is a Rwandan tradition where on the last Saturday of the month everyone is expected to do community work. No one is exempt - President Kagame planted banana trees - and we're talking legally enforceable hard graft here, not a little light charity fund-raising. Around 80 of our volunteers join a team of thousands in downtown Kigali, building a drainage ditch. Flanked by the Minister of Finance and the Minister for Infrastructure, I inexpertly wield a pickaxe. The star of the day is Desmond Swayne, parliamentary private secretary to David Cameron, who organises the transfer of tons of stone into our ditch. We go home nursing minor cuts and bruises. I wonder for a moment about introducing a similar scheme in my constituency, but think better of it. For the third year running, we play cricket against a Rwandan team. The ground is at the Ecole Technique Officielle - where 2,500 Rwandans were killed, a massacre portrayed in the film Shooting Dogs. This year we lack Francis Maude, the shadow cabinet office minister, and his batting skills. We also lack the support we had last year from the head of the Tony Blair Foundation in Kigali - to whom we gave asylum in the Conservative Party Cricket Team. We are thrashed by the Rwandans, who no doubt will soon embarrass the England national team. I sit and watch with the British ambassador thus narrowly avoiding the humiliation heaped on my colleagues. Last year I umpired, but dodgy decisions have relegated me to the boundary. To play cricket on this infamous site is an emotional experience. But it is also a sign of optimism, confidence and hope in a country now forging ahead - and likely to join the Commonwealth soon. In colonial days, Rwanda was ruled by the Germans and Belgians, and has few past associations with Britain. That is changing. I head off into the countryside to see our medical team in action. While I'm away for two days, my class is taken over by my 18-year-old daughter Rosie, who is one of our volunteers and currently on her gap year. Embarrassingly, when I return they say they would rather keep her. 'When is Rosie coming back?' they ask. Not only has she captivated our class, but she is also much stricter than me, insisting on hard work and discipline. So much for easy-going youth. The doctors are extraordinary. Their leader is David Tibbutt, a Conservative councillor in Worcester and a retired cardiologist who has been coming to Africa for 30 years. Malaria cases are more prevalent this year, but most of their work is muscular-skeletal - injuries caused by backbreaking work in the fields in the daily battle to subsist. Amazingly, Project Umubano doctors have treated more than 5,000 Rwandans in the three years we've been coming here - as well as helping to train numerous nurses. Next I travel to Nyanza, south of Kigali, to meet some of our lawyers collaborating with the Institute of Legal Practice. The rector praises the work of our barrister Suella Fernandes and her colleagues - not only while they are here, but also through the links they're forging with British legal institutions. A leading City law firm is providing training, law books and funding. From there on to Butare, Rwanda's second city, where we have a big team of teachers and lawyers led by Geoffrey Clifton-Brown, the shadow minister of state for international development, and Nick Hurd, shadow minister for charities and son of Lord (Douglas) Hurd. Teaching English is more challenging here than in cosmopolitan Kigali because people have less exposure to the language. Nevertheless the predominantly young team is rising to the challenge - as the Rwandan head teacher organising 300 teachers in one of Butare's schools, tells me enthusiastically. I get a call from David Mundell, the shadow secretary for Scotland, who is leading a group of our legal volunteers in Sierra Leone as part of Project Umubano. He describes the hair-raising eight-mile journey from the airport across the shark-infested sea to Freetown, the capital. Volunteers plumped for a half-hour boat ride in an overloaded boat over choppy waters under stormy skies, scarcely comforted by the flimsy but colourful life jackets. The other options were an old Isle of Wight hovercraft, an ex-service Ukrainian helicopter or a four-hour car journey over a muddy 'road'. Once they made it to Freetown, volunteers found their slightly shaken skills and experience were in high demand. Time to say goodbye to my class. The class captain - elected on the first day - makes a touching presentation. 'I can use so much that we have done together with my own pupils,' he explains. I have spent nearly two weeks learning about Rwandans' lives as well as trying to boost their English. As always, I'm impressed by these teachers' tenacity, resourcefulness and ability. They're incredibly hard working, and determined to better themselves and their country. Without doing down our own schools, I'm struck by the way students and teachers in developing countries embrace education - it is the best way to lift their communities out of poverty. In Rwanda, they think it is a privilege to be in a classroom - they are hungry for knowledge. We pack up and prepare to leave. No one pretends we can achieve more than a modest amount in a fortnight. But we have made a small contribution to this beautiful, tragic country. And within the Conservative Party our project helps ensure there are even more people passionate about international development - who have tasted the reality of life in a developing country and are determined to tackle global poverty. We just need to improve our bowling. "Last Chance" or "First Step"?